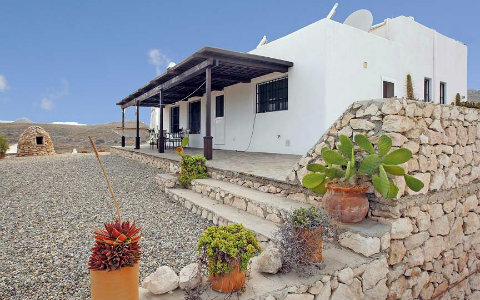 This Villa in Agua Amarga, a tiny traditional fishing village, is surounded by a wonderful volcano scenery. 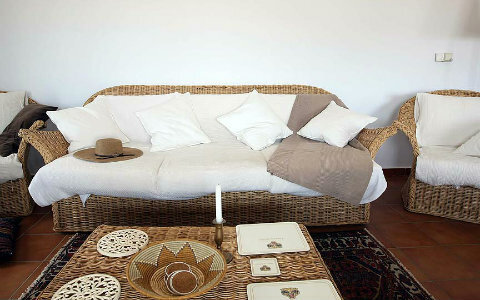 It is a modern andalusian style villa with underfloor heating for the very few and cool winter days (if any!) and air condition for hot summer days. 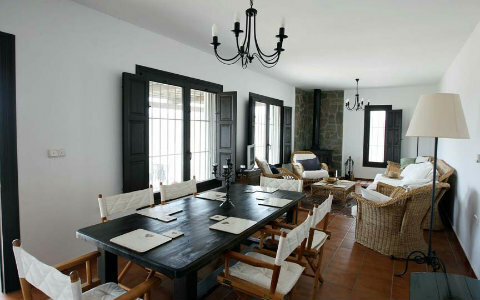 A gorgeos house, tastefully designed making the guest feel homely. 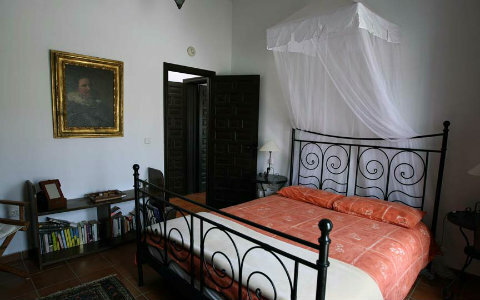 It boasts four air conditioned bedrooms: a master bedroom with a queen size bed, another double room with an extra large double bed and one more double room with twin beds, while the 4th bedroom has a futon-sofa, convertible into a king size bed. There are also two bathrooms, one with shower and toilet and the other one with shower enclosure. 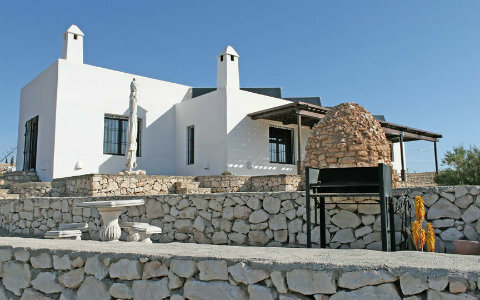 This is an ideal villa for a self catering holiday, featuring a large kitchen, open to the dining area and living room and is equipped with all modern facilities, including dishwasher and washing machine. The living room features three armchairs and a sofa, a cosy stove, television, DVD player, music equipment and a large movie collection. 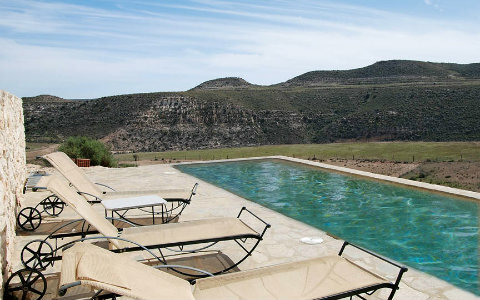 The outdoors are designed to relax, chill and swim in the pool and dining outside, while contemplating the most beautiful sunsets and with stunning views over the hills. The pool is solar heated. 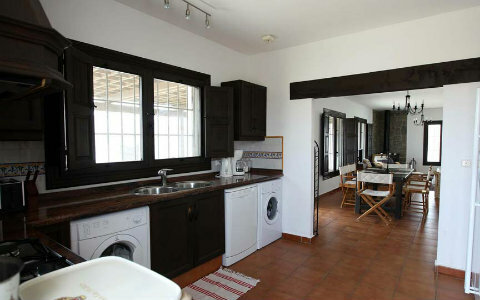 There are also Horse Riding facilities close to the property. The owner will be pleased to help you book an excursion or lessons! A car will be necessary in order to explore the entire Natural Park! You will find the most unspoiled beaches at 5 minutes drive and the village Aguamarga at 3 minutes! 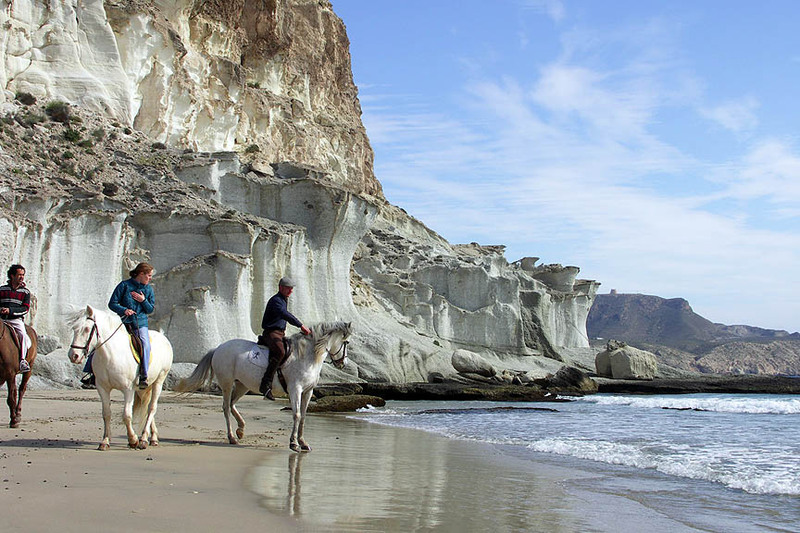 One of the most secluded coves "Cala de Enmedio" is not too far, so do not miss to visit!